GoPro, the world’s most versatile camera, has signed on as an industry sponsor of The 2017 Mint 400. Since hitting the market in 2002, GoPro has enabled people to capture and share their most meaningful experiences with others. Essentially changing the cinematography world forever, GoPro has transformed the way people capture, manage and share compelling, immersive photo and video content of themselves participating in their favorite activities. GoPro’s latest camera, the Hero Black 5, is simply the most powerful and easy to use camera yet and includes 4K video, 12MP photos, voice control, one-button simplicity, touch display and waterproof design. Its 2” display allows users to preview and play back their shots, change settings and trim their footage, all on their GoPro. Durable by design, HERO5 Black is waterproof to 33ft (10m) without a housing and with an optional GoPro Plus subscription, HERO5 Black can auto upload photos and videos directly to the cloud for easy viewing, editing and sharing on the go. The Mint 400 media program features the spectacular Mad Media style of (stunning) cinematography and authentic storytelling. Led by the directing team of “The Martelli Brothers”, Mad Media’s team of over seventy crew include ten of the best cinematographers in the business who utilize a variety of cinematic tools including cineflex helicopters, RED camera systems, drones, and hundreds of GoPro cameras to capture all the action. The Mint 400 media program is the most advanced in off-road. 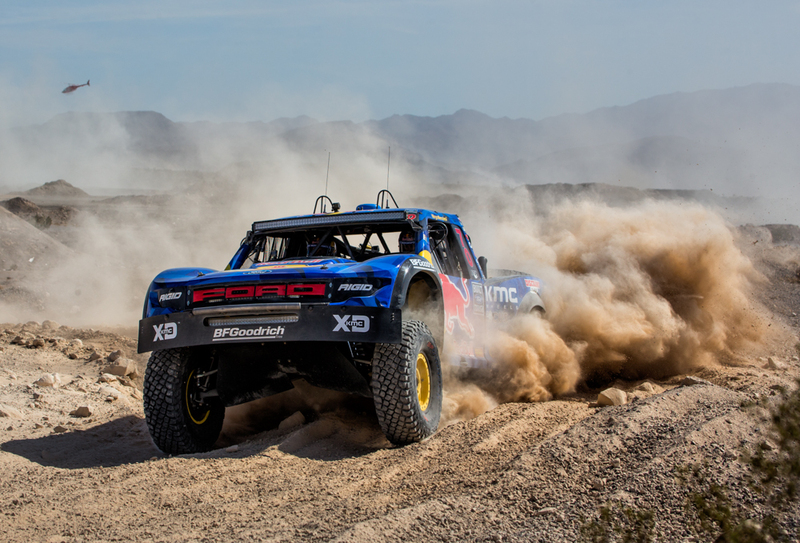 The Mint 400 TV show has been consistently airing on network television since 2010, reaching hundreds of millions of people in the United States, as well as a massive online impact.